The wait is over, and it was so very worth it. Player-vs-player (PVP) gameplay has been teased in Pokémon GO from the very beginning, showing up as a possible thing we'd be able to do in the original trailer for the game. But here in the real world, it took two years for the game to catch up and offer the feature. This new gameplay mode, dubbed Trainer Battles, allows you to jump into quick fights in a familiar stadium with anyone and everyone. We sat down with the Pokémon team at Niantic to discuss how this system came to be and took a test drive of the whole thing ourselves. Trust me, this new system was well worth the wait. Trainer Battles aren't quite like the system you've played in other Pokémon games, but it's not difficult to see the similarities. These battles are 3v3 instead of the standard 6v6, and fights are broken into Leagues that reminds me a lot of Pokémon Stadium. But the underlying system is simple and familiar, you pick your three best fighters, tap to use a quick attack, and when a charged attack is ready you can unleash devastation. If that sounds a lot like the Gym and Raid battles, that's because it is. But there are some critical differences. For starters, instead of the dodge mechanic found in the larger Gyms and Raids, you are given two shields you can deploy at any time. This shield can mostly absorb a Charged attack from any Pokémon, even if your Pokémon is weak against that attack. Trainer Battles are a lot of fun, and the update has caused the entire game to grow around it. To help make it so everyone can plan on a fairly even playing field, Trainer Battles are broken up into three Leagues. The Great League is for Pokémon with a CP under 1500, the Ultra League is for Pokémon with a CP under 2500, and the Master League has no cap at all. This allows you to have Trainer Battles with a sense of balance and also ensures newer players are able to participate evenly. If you're not sure what to use in a fight, Pokémon GO will create recommendations based on CP and IV to ensure you're using your best. Of course, the Master League is by nature a little more intense, but the way Niantic has opened the doors for homegrown tournaments in your neighborhood is compelling. You also can now have more than one Charged Attack per Pokémon, which is a battle mechanic being changed across the entire game. For a nontrivial fee of Stardust and Candy, you can unlock a second Charged Attack slot on your Pokémon. This second Charged Attack is randomly assigned when you unlock it, but it can be changed with a TM just like any other attack. This gives every Pokémon a lot more flexibility in combat, as you can now have big attacks from different elemental positions. And in Trainer Battles, it can give you an edge when you want to use more than one kind of attack. Using a Charged Attack in Trainer Battles is kind of a big deal, and the importance associated with using the right one is significant. You can spend a lot of time powering up one of the more devastating moves, like Solar Beam, only to have it absorbed by a shield immediately. On the other hand, a move which takes less time to charge, like Brick Break, can either deal a lot of damage in smaller bursts quickly or cause your opponent to waste a shield fearing the worst. But if you have both a short and long Charged Attack equipped, you can deploy a more effective strategy. Blanche, Candela, and Spark can all be challenged to a Trainer Battle, and you'll be rewarded with items once a day for doing so. A Trainer Battle match is decided when either all three Pokémon on one side have fainted, or the time runs out on the battle. If the time runs out, whichever side has the most HP remaining is the winner. Once the battle has ended, you and your opponent both receive rewards for the battle. These rewards are randomized and can be anything from a pile of Stardust to a Sinnoh Stone, which is cool. You can be rewarded for battling three times each day, and after that, your battles will still earn you credit toward badges but not much else. So who can you start a Trainer Battle with? If you are home alone and don't want to go out, you can battle with anyone set up as an Ultra Friend or higher in your Friends List. Anyone else, you need to battle them face to face. To make this easy, there's a new QR Code system in the app for challenging people. One person holds out their phone, the other person scans the code, and the invitation for the Trainer Battle is sent. According to Niantic, this must be done in person in order for it to work, so be sure to ask folks at the next Community Day if they would like to battle. And, of course, if you become friends you can expect one Trainer Battle each day will earn you another step toward your next Friend level. If you're not quite ready to battle other Trainers, there's a new system for challenging Gym Leaders. Blanche, Candela, and Spark can all be challenged to a Trainer Battle, and you'll be rewarded with items once per day for doing so. These Gym Leaders are no slouches, making these fights a great place to figure out your strategies for fighting before venturing out into the real world. Just like other Trainer Battles, you can select which League you'd like to challenge these Gym leaders in. 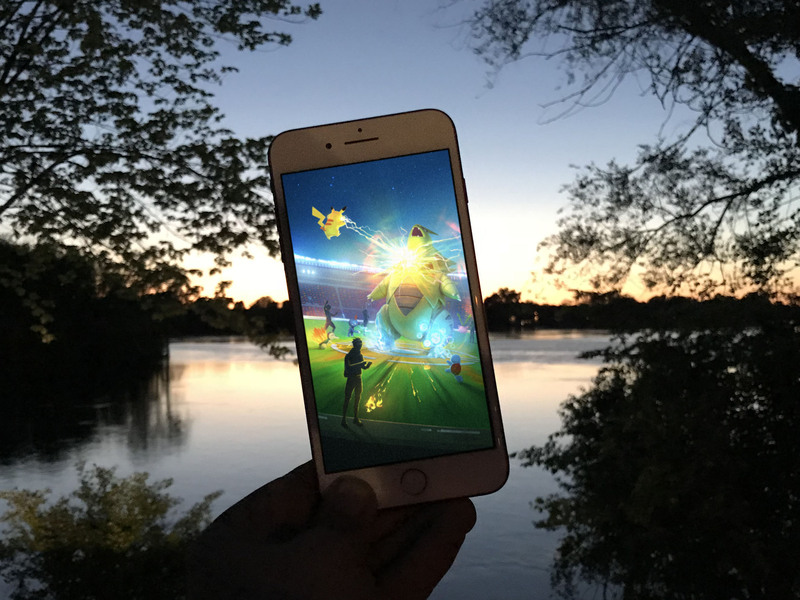 Niantic has done an amazing job with this update. Trainer Battles are a lot of fun, and the update has caused the entire game to grow around it which is amazing. This is just the first step, as it was made clear things like AR Mode and spectator view are being looked at as possible updates to this system in the future. Keep an eye out for Trainer Battles as they roll out today, and have fun battling your friends!